Here's the latest comic for Investing.com. This one was about Facebook. More specifically, Facebook recently bought the messenger service Whatsapp for 19 billion dollars. 19 BILLION. Then, shortly thereafter, Whatsapp kinda broke for a couple of days. 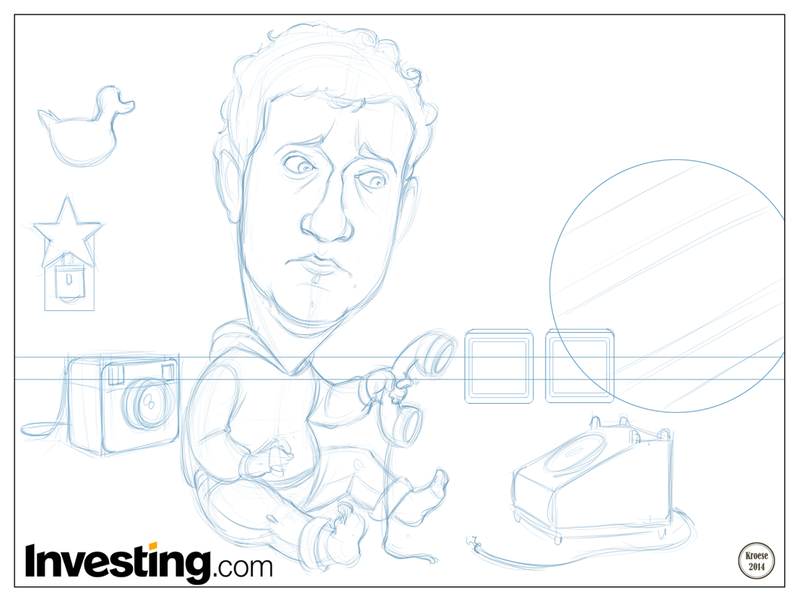 My assignment this week was to draw Mark Zuckerberg's head on a kid's body. 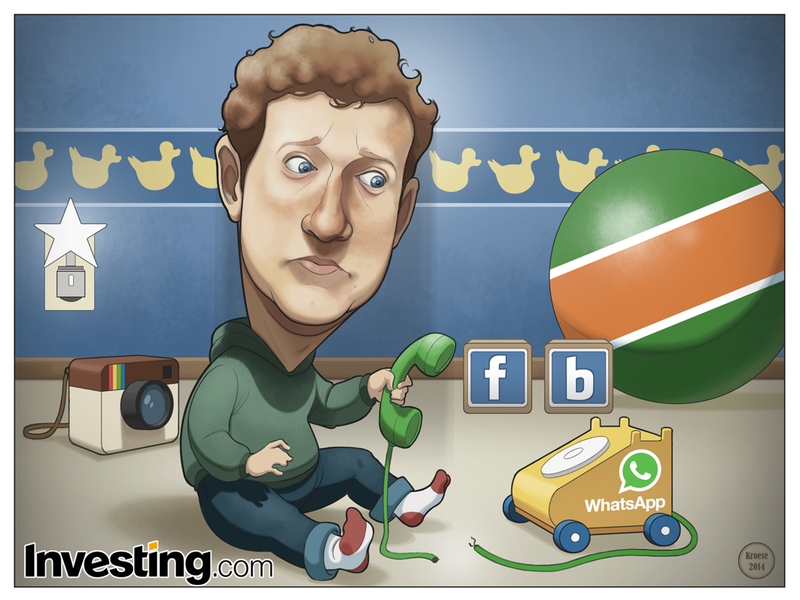 Mr. Zuckerberg was to be shown playing with a broken toy featuring the WhatsApp logo. Additional toys were to be drawn in the background, including a toy with the Instagram logo on it (which Facebook also owns). I decided a phone would be the most fitting option for the WhatsApp toy. Likewise, the camera made the most sense for the Instagram toy (it's essentially just the Instagram logo turned into an object). These were maybe the most obvious choices, but they're in service of the point of the comic, so I think they're acceptable. I'm mostly satisfied with this comic. If you read these posts regularly, you'll know that I pledged to spend more time this week thinking about composition, staging, colors, angles, etc. And I spent a LITTLE more time, but the quick deadline just doesn't allow much wiggle room on these comics. Still, I think the drawing is decent and the comic is interesting enough. It helped that there was only one subject. Of course, that subject is Mark Zuckerberg, who doesn't have the most expressive face. My favorite parts: Mark Zuckerberg's face, the fact that he's wearing his "trademark" hoodie even as a toddler, and the fact that the back wall of his playroom is Facebook blue. What I would have done different in hindsight: The ball is too bright. I think it's distracting. Also, Mark's face isn't perfect. It's not bad, but I can see one or two things that needed to be adjusted. Overall: 4 ducks out of 5.